What it’s about: Once upon a time, a little girl found herself all alone on a dock in Australia, unable to remember even her own name. Her one clue to her former life was a book of fairy tales written by the woman known only to her as the Authoress. Once upon another time, the Authoress was a little girl, too, but an outcast in the English manor of her formidable aunt and reclusive uncle. Her only light was her cousin, Rose, for whom she would do anything in the world. Once upon a third time, a young woman lost everyone in her world and so she traveled across the sea to unravel the a past that connected herself, her grandmother, and the Authoress. 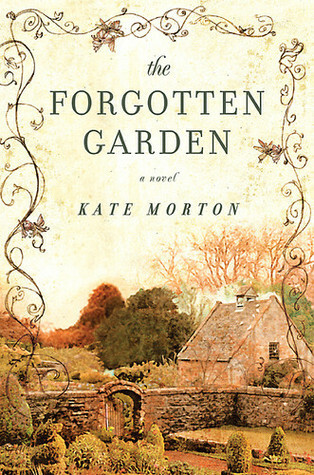 The Forgotten Garden weaves together the stories of these three women, in chapters that skip from the the Authoress’s life in the early 1900s to Nell’s search for her identity in the 1970s to her granddaughter Cassandra’s mission to finish what Nell began thirty years ago. This story works on so many levels, but at heart it is a fairy tale. 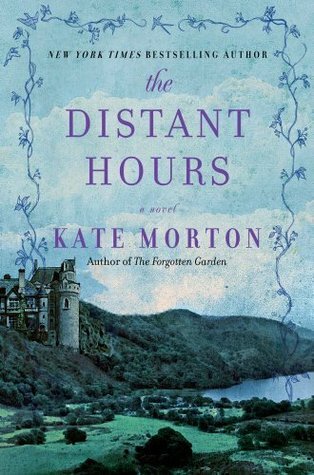 Morton is a master of this language and her story bears a lot of unpacking. Not only do we have the haunting and beautiful original fairy tales penned by the Authoress, we also see them subtly referenced in the unfolding “real” story. I think what I appreciated most was how this was done with such a light touch. If you want to delve into the symbolism in The Forgotten Garden, it’s there in spades. But if you just want a gothic mystery set in a haunted cottage on the edge of an English manor’s garden maze, this book can be that for you, too. It reminds me a bit of Diane Setterfield’s The Thirteenth Tale, another fabulous book that proves you can still combine fairy tales, English manors, and little girls and create something striking and fresh. Some of the strength of this genre is found in its familiarity. These tales evoke the ones we heard as children and there’s a natural, emotional response to the earliest stories we knew. Would I recommend? Definitely. The Forgotten Garden is beautifully written, a compelling mystery, a misty grown-up fairy tale, and quite a satisfying read. What it’s about: Alan Bradley’s first book in what will be a series of mysteries features the precocious 11-year-old Flavia, an amateur chemist living in a British manor house and trying to clear her father’s name after an old school chum of his is found dead in the cucumber patch. Unfortunately, this description is far more exciting than the delivery in the book, and maybe that’s how we got suckered into choosing it for our April book club. I’d seen Sweetness in a lot of table promotions at B&N and the story sounded engaging, what I hoped would be a sort of Girl with the Dragon Tattoo lite. The reality is more Nancy Drew. Flavia de Luce (pretentious names much?) is not nearly as clever as I hoped she’d be and the mystery isn’t very interesting. It was honestly a struggle for me to get through this book. Normally, I abandon books if I can’t get into them, but I have trudged through the dull and insipid narration just so I could come out on the other side and deliver this message to you, dear reader: Don’t pick up this book. Two things annoyed me. The first was brought up by my insightful book club, who pointed out that this book could have easily been a children’s novel. The story was very simplistic and none of the major plot points would have been above the understanding of the 11-year-old narrator. So why was this an adult book? Normally if a story is about a child but written for adults, there is some element in the story that elevates it. But if I were to evaluate where this book belongs, I’d place it firmly in juvenalia. The other thing that bothers me about the book is the writer’s style, which seems to be striving to be poetic and thoughtful, but came off as clunky and cliche. Flavia often muses on life and offers the reader bon mots that are meant to show her wisdom beyond her years, but to me the prose offered nothing original or beautiful. I also found myself putting on my editor’s hat as I read and calling out inconsistencies in the text, which is never a good sign. If I start editing a book while I read it, you know you’ve lost me. Would I recommend? Nope. How this book has ended up in so many promotions I really don’t know. And after two bad reviews in a row, I really need to get on track and read something wonderful. This may account for why I’ve posted more infrequently. Books I don’t love take me a lot longer to read than the ones I do.